Schepens offer clients a professional and cost effective international removals service — without compromising the quality of service upon which we have built our reputation. Our European removals service will take the stress out of moving to Norway from the UK. It is important to remember that Norway is a non-EU member state, so customs clearance is applicable. Schepens will take care of all aspects of customs clearance and make the process of moving to Norway much simpler. Additional charges for customs clearance will apply, please contact the office for further info. Due to the heavy volumes in traffic we transport, we currently offer a regular service to most destinations and we are therefore able to provide more economical rates than other UK movers without compromising our service. We regularly help customers relocate to Norway and understand the most efficient routes to take, the customs clearance procedures and the best times to take the journey. Because we regularly deal with international removals, we understand all of the logistics involved with long journeys. We use a fleet of dedicated articulated vehicles for all removals to Norway. These vehicles run on air ride suspension and boast an adjustable baring system, which ensures little or no movement of vehicle contents. These bars also enable us to create partitions between consignments which prevent cross contamination. Our vehicles are alarmed, offering additional security and peace of mind. Why use Schepens for your UK to Norway Removals? We are very proud of the success of our family-run business. Schepens are one of the oldest international removals companies in the UK and understand the logistics of moving items for long distances. Our many years of experience has taught us that customer satisfaction is the most important aspect of business. Our friendly staff will make your move a stress-free experience and help you quickly become established in your new home. Our movers are all experienced and trained to British Association of Removers standards. We will help you relocate to Norway safely, efficiently and without any damage to your valuable possessions. The quality of our moving trucks is second to none. Our modern vehicles are designed to cushion their contents and have security measures to prevent theft during the journey to Norway. Schepens can provide many types of packing materials for your move to Norway from the UK. Why go through the hassle of packing your contents yourself? Our movers will perform the task for you with high-quality packing materials. Norway has customs rules which can be difficult to understand. Because we have helped so many people move to Norway from the UK over the years, we are highly experienced in dealing with the customs process. All vehicles, movers and contents are insured when you move with Schepens to Norway. Extended liability is also available, so you are covered for any accident that occurs involving a third party when moving to Norway. Oslo, Bergen, Stavanger, Trondheim, Fredrikstad-Sarpsborg, Drammen, Porsgrunn-Skien, Kristiansands, Tromsø, Tonsberg, Ålesund, Haugesund, Sandefjord, Moss, Bodø, Arendal, Hamar, Larvik, Halden and Harstad. If you need a Norway removals service, then Schepens has the experience, expertise and local knowledge to offer you a smooth, trouble-free move. In 2017 Norway was named the happiest place on earth by the World Happiness Report 2017. It regularly comes top in the Human Development Index and the Legatum Prosperity Index places it at No.1 in its rankings. Factor in the glorious landscape, workplace gender equality, and second-to-none childcare and education rankings, and it’s small wonder that more and more Brits are considering working and living in Norway. PLEASE CALL 01794 323558 FOR YOUR FREE NO OBLIGATION QUOTE ON REMOVALS TO NORWAY! If you’re thinking of moving to Norway to start a new life with your family, or if you’re relocating there for work, the logistics are complex. Schepens has been moving families to Scandanavia for over 100 years now, so here’s our step-by-step guide for successful planning when making the move from the UK to Norway. So long as you have a British passport that describes you as a British Citizen, you can stay in Norway for up to 3 months without a visa. Thereafter you will need to appy for a Residence Permit. The application process is facilitated via the UDI application portal which give full details of all the documentation you’ll need for this process. One of the first things you’ll need to do is open a bank account with one of Norway’s major banks such as Norges bank, Nordea or DNB ASA. If you’re planning to stay in Norway longer than 6 months you’ll need a Norwegian National Insurance number (ID number). These are issued by your local tax assessment office. You’ll need to have a job in order to be granted residency. The jobs market is highly competitive and expats recommend that job-seekers learn Norwegian as employers prefer hiring people who know the language. Most jobs in Norway are advertised online, and the NAV job database is the most comprehensive listing. Expats recommend renting for your first year in Norway, so that you can take your time deciding where you want to put down roots. Cities offer the most choice, but tend to be more expensive. Rental deposits tend to be steep; three months rent is the normal deposit. It’s also worth checking what’s covered in rental as you’ll normally need to factor in utilities on top of what you pay. Healthcare is high quality and affordable in Norway. It’s free for young people under the age of 16. In all other cases medical, dental and optician treatments incurs a reasonable fee for all treatment, until a financial threshold is reached, at which point treatment costs are covered by public insurance. Being registered with a GP is the gateway to all healthcare services, so finding one needs to be a priority when you arrive. Norway’s education system is highly regarded and young people are required to attend between the ages 6-16. Public education is free and all the classes are delivered in Norwegian. There are also a number of international schools operating in Norway. They’re expensive but they offer a UK curriculum and classes are taught in English. Norway tops the charts when it comes to the cost of living. In 2018 it is one of the most expensive place in the world to live. The high prices are offset by salaries but it’s worth researching the cost of staples, utilities, and commodities before you arrive, in order to be able to make informed decisions about the amount you need to earn earn in order to live comfortably. Many of our clients are managing their first European removal, and the sheer logistical complexity can feel overwhelming. That’s why we appoint a dedicated Move Co-ordinator to all our movers. This is someone with detailed knowledge of their destination and extensive experience of European removals. They work with you from preparing your no-obligation quotation through to managing the arrival of your goods in your new home. At Schepens we ship regularly to a range of locations across Norway which means we’re able to offer flexible scheduling, and the option of either dedicated or part load shipping. Every member of our removals team is BAR trained providing a professional and proactive service throughout your move. Schepens currently move to the following towns in Norway: Oslo, Bergen, Stavanger, Trondheim, Fredrikstad-Sarpsborg, Drammen, Porsgrunn-Skien, Kristiansands, Tromsø, Tonsberg, Ålesund, Haugesund, Sandefjord, Moss, Bodø, Arendal, Hamar, Larvik, Halden and Harstad. IF YOU ARE RELOCATING TO NORWAY, USE SCHEPENS! AT SCHEPENS WE’RE PROUD OF OUR REPUTATION FOR SECOND-TO-NONE CUSTOMER SERVICE FOR REMOVALS. IF YOU’RE THINKING OF MOVING NORWAY, CALL US TODAY ON 01794 323558 TO FIND OUT HOW WE CAN SUPPORT YOU IN YOUR MOVE OR RELOCATION. Norway is one of the most beautiful countries on the planet. It is also a very successful country, with a large economy, exciting culture, and strong democracy. The residents of Norway enjoy a high standard of living, with excellent public infrastructure, high wages, and generous working conditions. It is a fantastic place to live, which is why it attracts so many migrants each year! If you are relocating to Norway this year, make the process easier by using a professional European removals company like Schepens. With over 100 years of experience, we are the leading Norway removals company and have the expertise necessary to make your move to Norway easy. Each client is assigned a dedicated move coordinator at the start of the removals process. They will walk you through the removals process, providing useful advice and answering any questions that you may have. As the removal is being performed, they will be available to give you updates on its progress. Our move coordinators make moving from the UK to Norway easy! This guide will take a closer look at Norway and explain why so many people are moving there. We’ll also share a few reasons why Schepens is the #1 Norway removals service. WHY ARE SO MANY PEOPLE MOVING TO NORWAY? The beauty of Norway has to be seen to be believed. Locations including Geirangerfjord, Lofoten Islands, Bryggen, the Jotunheimen, and the Svalbard archipelago are all spectacular. People flock to these locations all year round, with hiking, skiing, rock climbing, and fishing all being very popular. The Norwegian economy is one of the best in Europe. It has the second-highest GDP per capita in Europe and the sixth-highest GDP per capita in the world. It is also the second wealthiest country in the world. It is considered one of the most economically stable countries in the world. It has a mixed economy with a combination of state-owned enterprises and private companies. The strongest industries in Norway include energy production, petroleum production, agriculture, forestry, fishing, and mining. Norway’s strong economy makes it is easy to find a good job with excellent working conditions. Wages are high and the unemployment rate is usually much lower than the UK’s. Residents enjoy access to modern consumer items, excellent food and world-class infrastructure. Norway has an extremely low crime rate and world class health system, which makes it a very family friendly location. These useful resources will help you plan your move to Norway! WHY USE SCHEPENS WHEN RELOCATING TO NORWAY? Schepens is a large removals company that operates in dozens of country around the world. The size of our company allows us to run a very efficient European removals service — allowing us to provide clients with low cost removals. 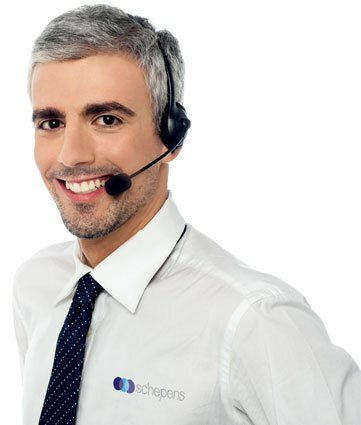 Despite being an affordable option, Schepens never compromises on the incredible level of customer service we provide to our clients. Schepens is a family-owned company that has been in business for over 100 years. We have built a reputation for being professional, reliable, and efficient. If you are moving from the UK to Norway, choosing a service provider like Schepens will ensure your move goes off without a hitch. All clients moving from the UK to Norway have the option of using our professional packing service. When you choose this option, our talented removers will pack your possessions for you — ensuring they are adequately protected for the journey to Norway. Schepens performs European removals to Norway often and knows the country well. By choosing an active Norway removals service like Schepens, you will be using removers who know the country well, helping to improve their efficiency and reliability. WE HAVE THE EXPERIENCE, SKILLS AND LOCAL KNOWLEDGE TO OFFER YOU A SMOOTH AND TROUBLE-FREE MOVE. CONTACT OUR FRIENDLY STAFF TODAY TO DISCUSS YOUR REQUIREMENTS. CALL 01794 323558 FOR YOUR FREE MOVING QUOTE. The UK’s decision to leave the European Union will have a huge impact on its citizens. One of the biggest changes is how easily people can move from the UK to other countries. That’s because many European countries have tighter restrictions on migrants coming from non-EU countries. People moving to Norway after brexit may find that the requirements for entry or residency are more stringent. The precise details of how migration to Norway will change after Brexit are still being negotiated. However, there may be additional restrictions on how long you can stay in Norway and the things you can do while living in Norway, like working, studying, and visiting public hospitals. This guide will discuss the current process of moving to Norway and how it may change after Brexit. Currently, British citizens and British subjects do not require a visa to enter Norway. You will only need a valid British passport when entering or exiting the country. However, it is important to check that your passport is valid for the length of time that you will be staying in Norway. Although you don’t need a visa to enter the country, you must register yourself on arrival if you plan to reside in Norway. This can be done at one of the service centres in Oslo, Stavanger and Kirkenes. You can read more about the entry requirements at the Norwegian Department of Immigration website. Anyone from a county that is in the European Economic Area (EEA) can work, study, or start a business in Norway for up to 6 months without a residency permit. However, as the UK will be leaving the EEA as a part of Brexit, this situation is likely to change. Negotiations are still ongoing, but this 6 month period will probably be removed or dramatically shortened. If you are going to stay in Norway for longer than 6 months, you will require a residency permit. This allows you to obtain a Norwegian personal number, which is used for everything from renting a home to obtaining social services. Norway has both temporary and permanent residency permits. You can only apply for permanent residency after living in the country for at least 3 years (5 years for some countries). Your passport or national ID card showing your citizenship and validity. Obtaining permanent residency in Norway can be a time consuming process, so it is worth applying as early as possible. Currently, UK nationals can receive health care during temporary visits to Norway if they have a European Health Insurance Card (EHIC). If you are living and working in Norway for a longer period, you will have to join the Norwegian National Insurance Scheme (NIS). This will allow you to gain access to the low cost healthcare via Norway’s public healthcare system. – We employ highly skilled move coordinators to ensure all removals to Norway are performed efficiently and safely. Your move coordinator will also answer any questions that you have and offer useful advice that makes the removals process easier. – Schepens is one of the most successful European removals companies, handling thousands of tons of cargo each year. The large size of our operation allows us to obtain discounts from suppliers, which we pass onto our customers — making us an affordable option for moving to Norway. – We adhere to the standards spelled out by the British Association of Removers. These standards cover everything from the contingency plans in place to the quality of packing materials used. – Schepens owns a large fleet of specialised removals vehicles. These vehicles feature air ride suspension, an adjustable barring system, and advanced security features. Secure storage services – We can store your cargo in one of our secure storage services. Our rates are affordable and our storage facilities are state-of-the-art. The Schepens professional packing service – We offer clients use of our professional packing service. When you choose this service, our removers will pack all of your possessions for you — saving you time and ensuring your cargo is prepared for the journey to Norway. – Clients can choose from a wide range of cargo insurance policies. All of our vehicles and removers are also fully insured. Schepens currently performs removals to the following towns in Norway: Oslo, Bergen, Stavanger, Trondheim, Fredrikstad-Sarpsborg, Drammen, Porsgrunn-Skien, Kristiansands, Tromsø, Tonsberg, Ålesund, Haugesund, Sandefjord, Moss, Bodø, Arendal, Hamar, Larvik, Halden and Harstad. IF YOU ARE MOVING TO NORWAY AFTER BREXIT, CHOOSE A PROFESSIONAL EUROPEAN REMOVALS COMPANY LIKE SCHEPENS! CONTACT SCHEPENS TODAY ON 01794 323558 TO DISCUSS YOUR REQUIREMENTS WITH OUR FRIENDLY STAFF. Norway is a wealthy, democratic nation with a strong social welfare system, a world-class health system and a high-quality education system. This article will provide you some important information to help you decide if you should relocate to Norway from the UK. Norway is a part of Scandinavia, sharing a border with Switzerland, Finland and Russia. The country has a population of approximately 5.1 million people and its capital is Oslo — a beautiful city featuring green open spaces and some of the world’s best museums. The country has a rich historical past and is proud of its Viking heritage. Norway is much bigger than the United Kingdom, with a total area of 385,178 km2, compared to the UK’s 242,495 km2. Norway also has a much lower population density than the United Kingdom, with only 15.5 people per km2 compared to the UK’s 255.6 people per km2. There are many reasons why people relocate to Norway, including to access the fantastic health care system, to find a better job, to obtain a better life style, to enjoy the natural environment or simply because they just love Norwegian culture. According to the World Health Organisation, Norway’s health system is the 11th best in the world, well above the United Kingdom. The 2014 Euro Health Consumer Index (ECHI) ranked the health care systems of 37 countries in Europe and found Norway to be the 3rd best. The index ranked countries with a score out of 1000, giving the UK (excluding Scotland) a score of 718 landing it in 14th place. Norway scored 851 and was only ranked behind Switzerland and the Netherlands. Many people move to Norway from the UK to find work more easily. The unemployment rate in Norway is only 4.1%, compared to the UK’s 5.4% and the Norwegian government has many useful job training programs on offer. Norway also has a very generous paid parental leave scheme, annual holidays and other entitlements. It is a very attractive destination for workers, who are paid very well. WHAT IS THE EASIEST WAY TO MOVE TO NORWAY FROM THE UK? Moving internationally can be a difficult process, particularly if you are doing it yourself. In addition to packing your possessions and lifting heavy objects, you will have to deal with customs and navigating your way through multiple countries. Professional international removals companies have modern vehicles that are specifically designed to move fragile items over long distances.